Glenn has been in the sport for years and became a major feature of Arabian. 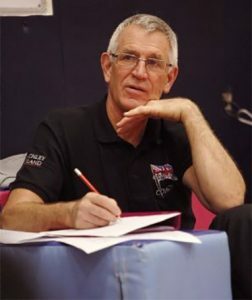 He teaches on Saturday afternoons after coaching at his own club of Bicester. He is, without a doubt, the most popular coach in the club with coaches and gymnasts alike. He is the most genuine person you can find.